Total Immersion Master Coach, Triathlon Specialist Founder, Head Coach of Zendurance Cycling. Author of “Zendurance” and several articles in triathlete magazines. Currently Shane offers private instruction at the Total Immersion Swim Studio in New Paltz, NY and in Ithaca, NY. His specialty is advanced freestyle stroke analysis and propulsion. At the Swim Studio he uses video analysis extensively. He works with triathletes and distance swimmers of all levels from novice to pro and elite – privately and in clinics. He has trained TI coaches in the US and Europe. As an avid triathlete, Shane constantly researches, develops and applies his expertise “in the field”, racing triathlons of all distances. He consistently ranks high in USAT Age Group National Rankings – All American in 2008, 2010. He is a 2-time Hawaii Ironman finisher, as well as Hawaii Ultraman World Championship (2006), ITU Long Course World Championships (2008, 2010), Virginia Double Irons (2007, 2010) and Virginia Triple Iron (2012). At age 50, his swim times for iron: 1:00:42, for half-iron: 27:04. 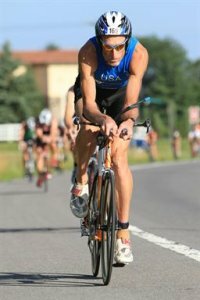 Shane is also available to lead performance and technique oriented weekend workshops that combine Total Immersion Swim and Zendurance Cycling. He offers bike fitting services for road and triathlon through Finger Lakes Running and Triathlon Company, in conjunction with Cayuga Sports Medicine Clinic – in Ithaca, NY. See Shane swim here! For a more detailed bio and race highlights, go here. For his teaching and clinic calendar, go here. Note: The First installment of this series appeared here in late January. In the pursuit of athletic excellence, the most advanced and meticulously crafted training programs cannot provide guidance as accurate and appropriate as intuition and the pursuit of enjoyment and confidence.